New Delhi: With a strong smell and bitter taste, fenugreek (methi) seeds are widely used as a herb, spice and vegetable in the Indian kitchen. Belonging to the family of Fabaceae, it is cultivated worldwide as a semiarid crop. They come handy to prepare pickles, curries and salads and have immense health benefits. 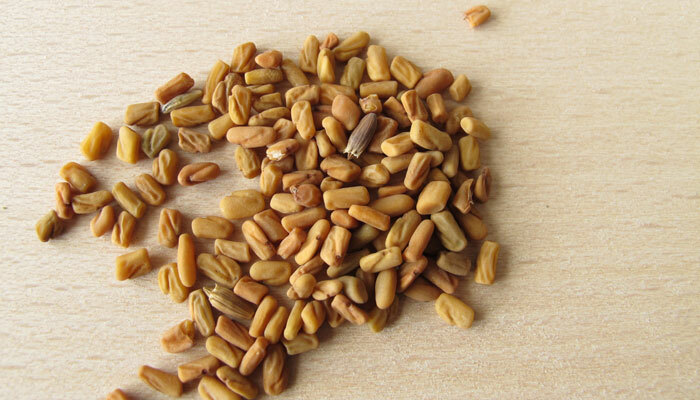 Fenugreek seeds are a rich source of various nutrients like carbohydrates, protein, calcium, phosphorus and iron. -They are effective in reducing cholesterol levels. -Due to presence of a compound called galactomannan, it helps combat against cardiovascular diseases. -Eating fenugreek seeds also helps in aiding digestion process and cures acidity. -Applying paste of fenugreek seeds on scars works wonders as it helps cure sunburns, eczema and other skin problems. -If you encounter hairfall problem, methi seeds is the answer for it. Soak fenugreek seeds overnight and grind it into a fine paste. Apply this on the scalp for 10-15 minutes and then wash it with a mild shampoo.